Look for us at Beaver Creek State Park on May 7! Our Legends Tour starts at 9:30 pm! Please come out and meet some of Columbiana County's Ghostly Legends! 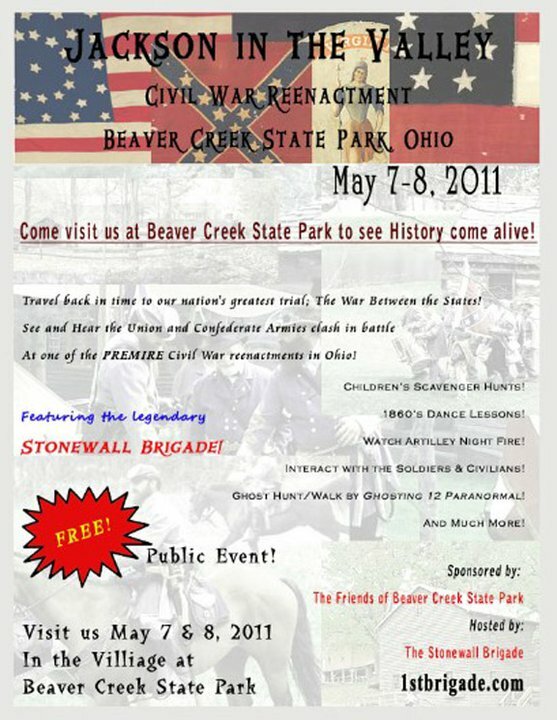 Also, take the opportunity to tour the camps of the Civil War Reenactment Participants! More about this coming soon!!! !